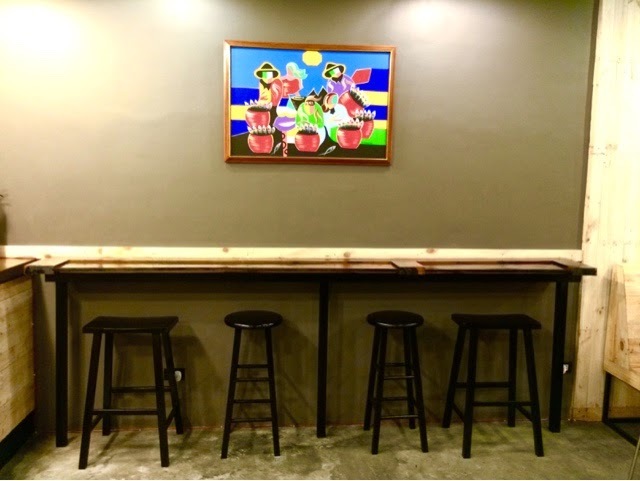 I know it musn't be the opportune time to tell you about this (since there's recent controversy and all) but I've found a new cozy tea shop near UST, at 1047 G. Tolentino Street in Manila. 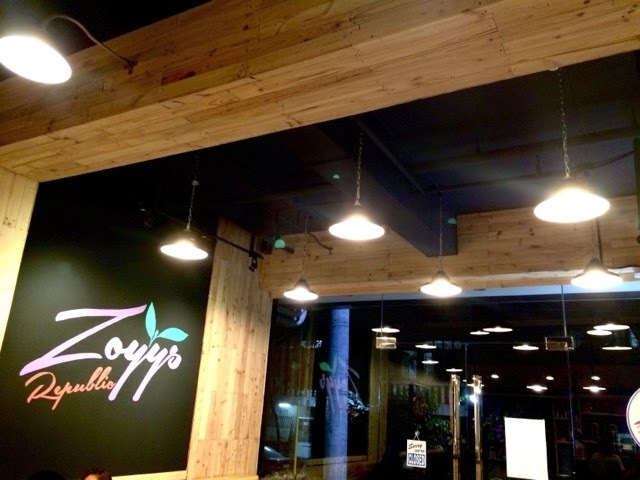 They call it Zoyys Republic, a brain child of 5 entrepreneurial friends who wanted to have a new bangin place to hang out while having milk tea concoctions, small snacks in a mid modern industrial ambiance right in the heart of the city. 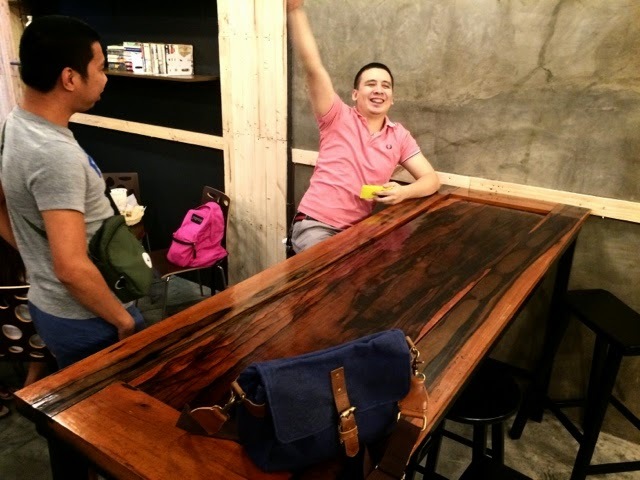 We tried some of their teas and snack items while we were there with my friends from the UE Red Tribe. The place is nice. They've got parking space for a few cars since it's part of a building. 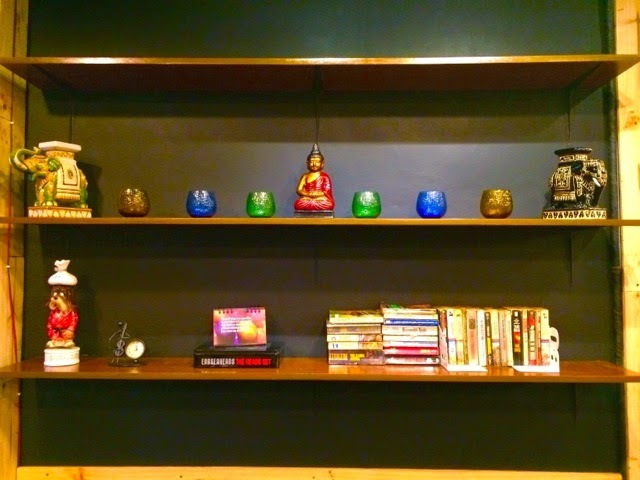 Inside, they wanted to exude a relaxed industrial feel with some accents of wood and glass fixtures on top of shelves. Honestly, I think they're still trying to find their identity and is finding it a little hard filling up huge walls with artwork, books and knick knacks. 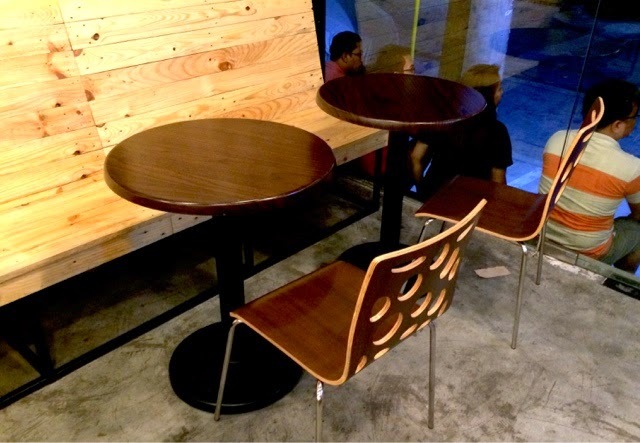 What I find cool is the ample amount of seating, the re-purposed doors turned into tables and the large wooden bunk chairs in front of the store. They've also got really good air conditioning, so it would be nice to have an escape from the smoldering heat if the sun outside. It's a little problematic for them because people which mostly are comprised of students in nearby universities think that since it looks a little upscale, that their food would actually be expensive too. But really no, I find their prices quite competitive compared to other tea shops in the area who didn't even invest in interiors. This to me is something of a selling point. You get the feel and ambiance of a high end coffee shop yet you only pay for affordable tea concoctions and snack items from their menu. Which reminds me, we have to talk about that too. 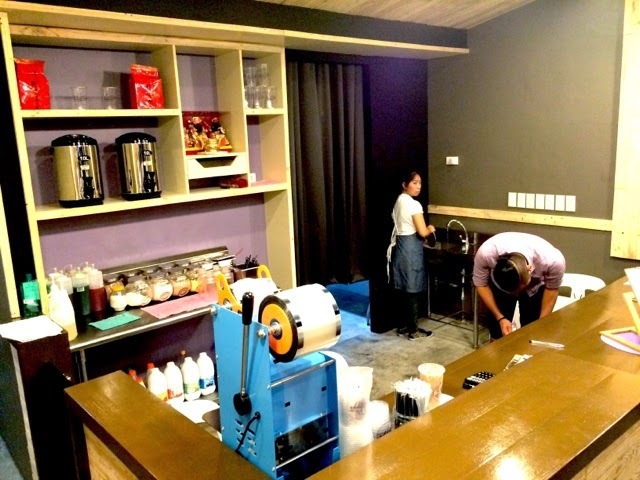 They're kinda limited to tea and snacks now since there are nearby full blown restaurants who serve full meals nearby, like there's even one in the same building. I like what they came out with though because the snacks entails some really good fried comfort food starting off with Zoyys Republic's Chicken Poppers! The Chicken Poppers was very crunchy. 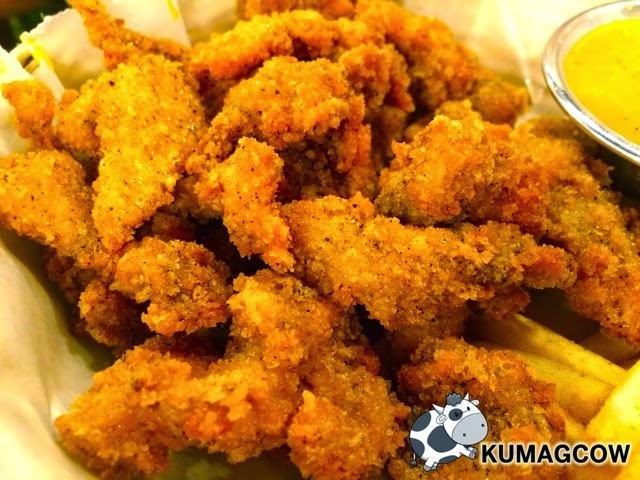 Think of the bite sized chicken meat pieces that are breaded and deep fried. It's lightly salted but it may taste a bit bland to some; but the goal here is not to have the protein alone. 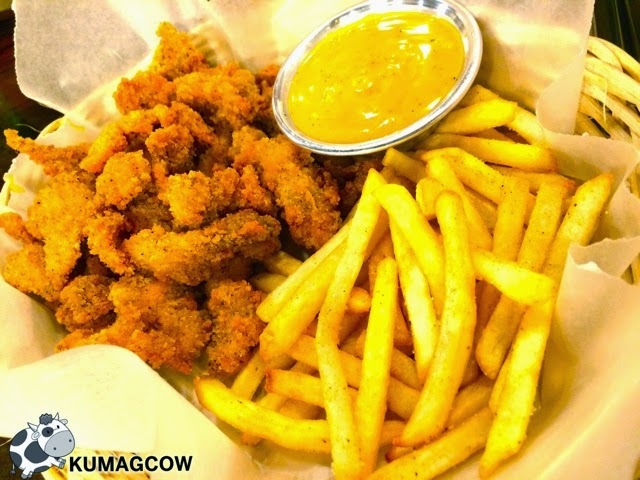 On the side of the crunchy fries are small containers with home made mustard based dips that are both sweet and tangy. The contrast of that and the crunchy chicken was a surprise because I don't think most of us are fond of mustard right? It works though and as I see it, you'll like the combination after a while and you might end up asking for more. You can pair up these fried numbers with the tea choices that they have inside the store. 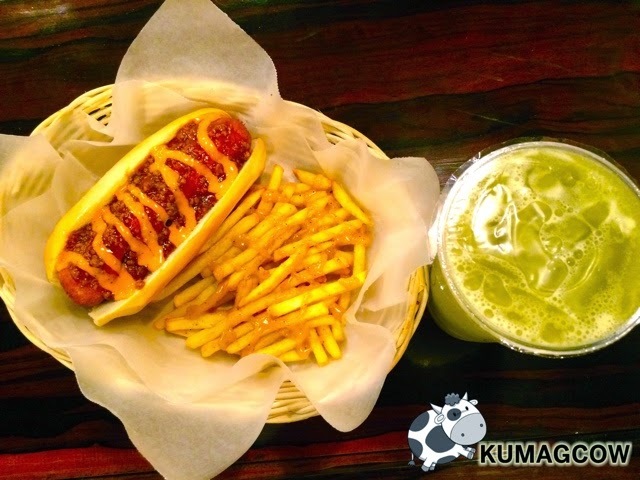 I chose the Grande Apple Yakult and loved the tangy notes together with the fruity drink. My friends had the Lychee Peach Fruit Tea and the Strawberry Tea that's got a black tea base. It's not too sweet and you can ask them to tone down sugar if you prefer. They've got other things on the tea and Yakult list that are all fruit based. Really good. 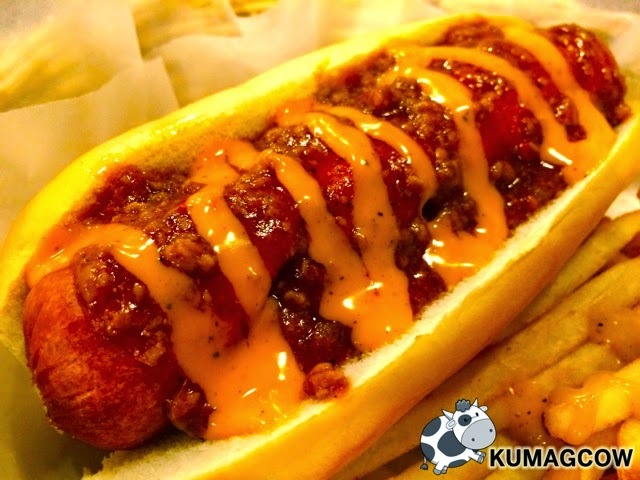 For something savory and filling, this is Zoyys Republic's Chili Dog. 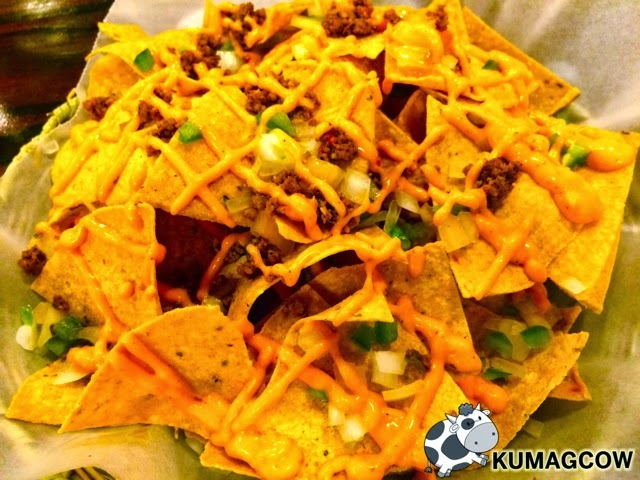 It's moderately spicy, meaty, and you must make sure to have this while it's hot! It's comfort food at its finest. I suppose guys would have this on their own and ladies could share, but it's so tasty they might finish up an order of this or two. 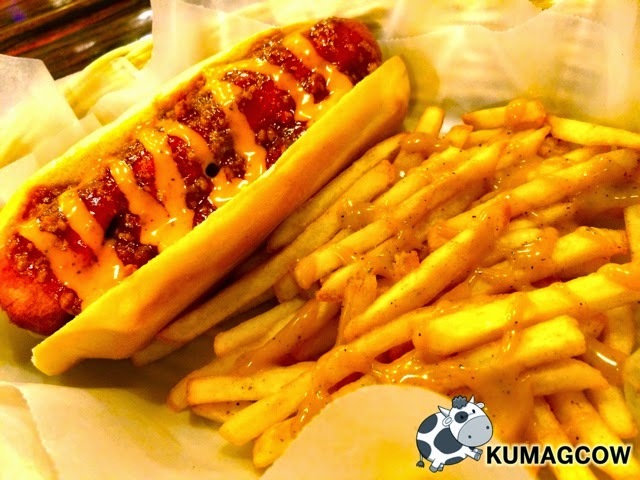 The sausage is pretty big, like a frankfurter that's really juicy. I suggest you order this and the next one if you have friends with you. 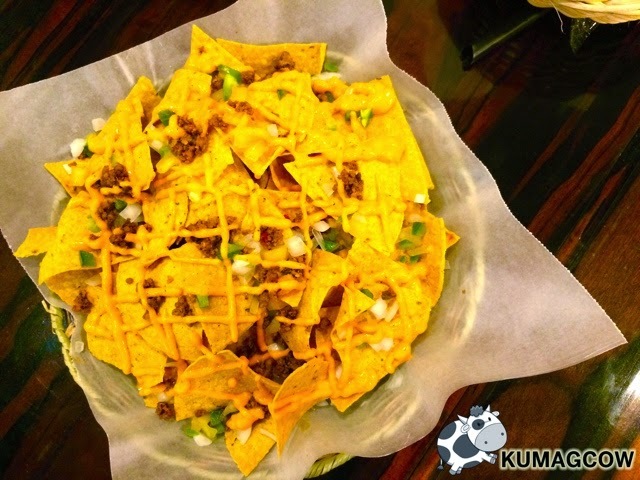 For groups, you can opt for the Nachos. It was okay, nothing fancy. It does the job of keeping your mouth busy in between conversations. If you're planning to stay and kill time while you're at Zoyys Republic, go ahead and have this otherwise, have this sinful batch of heavenly goodness. I'm talking about the Deep Fried Oreos. 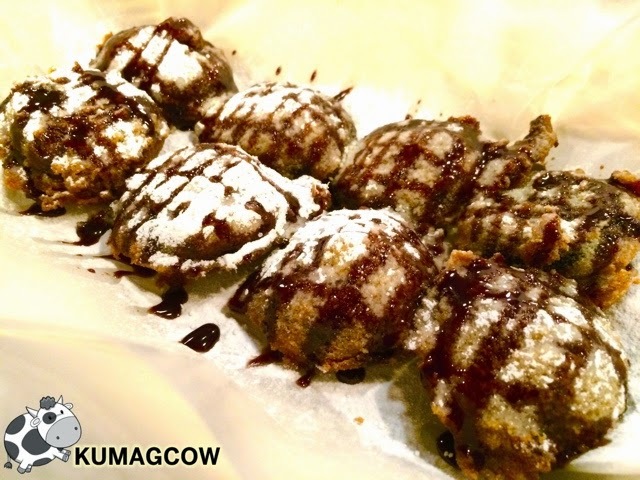 The first time I saw Deep Fried Oreos was during an ANTM episode when Ann Ward won. She eats tons of this and I guess some people here picked it up. It's super cool that you can find it now in Zoyys Republic. It's sweet and it's the perfect way to end your meal. I mean, I had about 4 pcs and left the rest for my friends. That alone tells you how nice it is, and if there's something you should order before leaving the shop, I must say it should be this bar none! 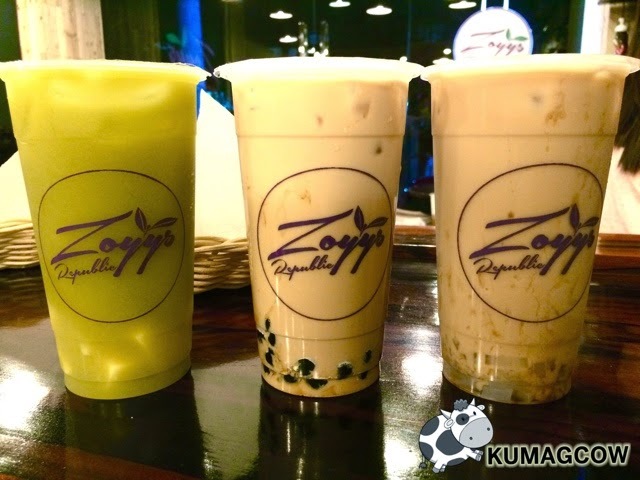 Zoyys Republic is open from 9AM to 1AM on weekdays and Saturdays while 3PM to 1AM on Sundays. 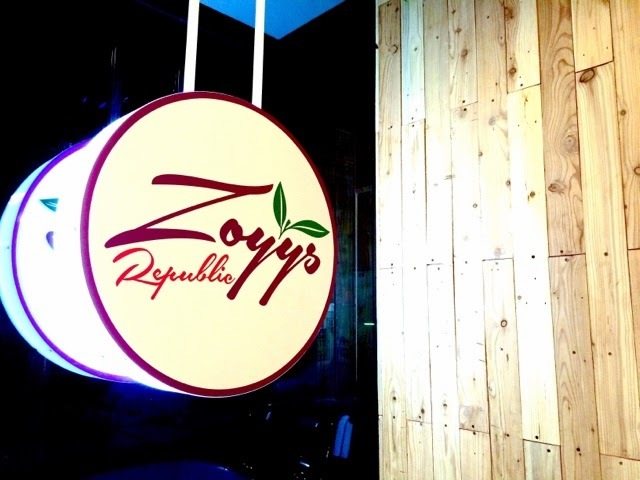 There's a lot more on their menu that I haven't even tried yet so if you're looking for something comforting and affordable, drop by Zoyys Republic at 1047 G. Tolentino Street in Manila. I think it's even near España that you can walk from there, as it's not too far. Bring your friends too while you're at it. 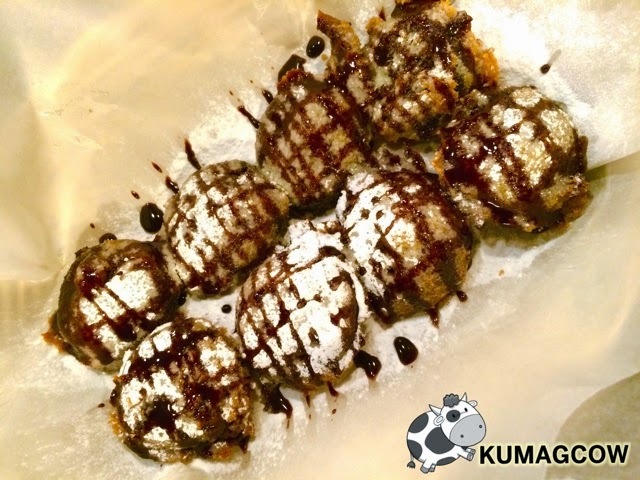 Trust me on the deep fried oreos!